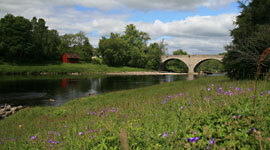 I am very excited to be able to report the availability for fishing on the renowned Borrowston beat on the River Dee. 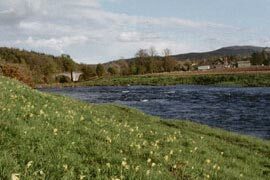 The fishing has been exclusively fished by the proprietor for the last few years and after lobbying to create access for anglers they have agreed to release some weeks this summer. The fishery has a number of good Dee fishing huts overlooking some of the nicest fly fishing pools and streams you will find with the acclaimed Greenbanks pool being one of the best holding pools on the whole river. The Ghillie Bill Palmer is a real gentleman who knows the water intimately, and can provide great advice on how to make the most of the opportunities that exist. Not only are salmon stocks on the beat prolific but there are excellent opportunities for night fishing for sea trout. It’s one of the finest beats I have fished anywhere in the world and I believe the rates quoted represent excellent value for money. 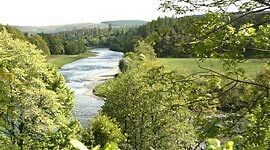 The FishDee site is a not-for-profit website which means all proceeds go back to improving the river Dee.